We’re starting our new year off with fresh ideas and new thoughts around our industry. While we certainly hold on to tradition we want to embrace new thoughts on our music and dance. 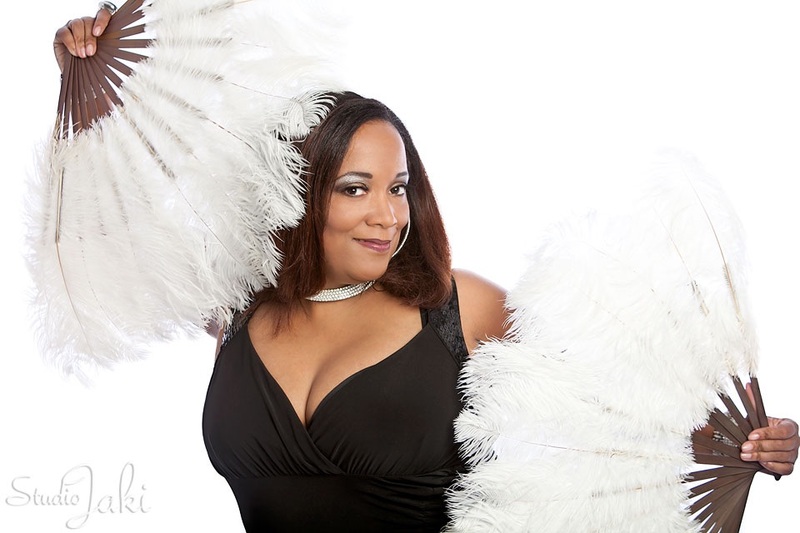 Fresh from the stage featuring a new series of themed events, what better person to speak with about new things than the one and only Jendayi Renee, Founder of Jendayi Dance Company. Our volunteer raqs archivist sings her praises on many occasions and recently sat down with her to find out what Jendayi is jumping into this year! Jendayi, you’ve been doing raqs sharqi since we’ve known you. Who were your first influencers and what from those early influentials do you still find useful today? First of all Andye; thank you all your support over the years. I’m honored to be asked for this interview and I look forward to working with you in the New Year. Also this is my birthday month so it’s great to kick of the New Year and my birthday (on Jan 19th) talking about my journey in raqs sharqi. I started my dance journey back in 2001. I was shopping in Little Five Points at a store called Soul Kiss. They were playing Rachid Taha’s album “Diwân”. If I remember correctly it was the North African song “Ya Rayah”. All of a sudden I could visualize women dancing and singing and being happy. I had never seen bellydance in person only in movies. I IMMEDIATELY thought I must learn how to dance to this music. There was something about it that called to me and said “Come dance with me”. I searched for a bellydance class, back then there were only two studios and I picked the 1st one that came up in the internet search, signed up and two weeks later attended my very 1st class. I didn’t know anything about styles or genres only that I wanted to learn this dance- not because I was bored or needed a new form of exercise or needed to meet new friends. It was then and still is about embodying the music for me. I went to that teacher for 6-7 months but we were not a good fit- but I’ll talk more about that later. Later I found several teachers and they really helped put me on the path to becoming the dancer that I am today. I credit Sarai (local to Atlanta) – she is beautiful both inside and out and I still try to visit and learn from her when our schedules allow. 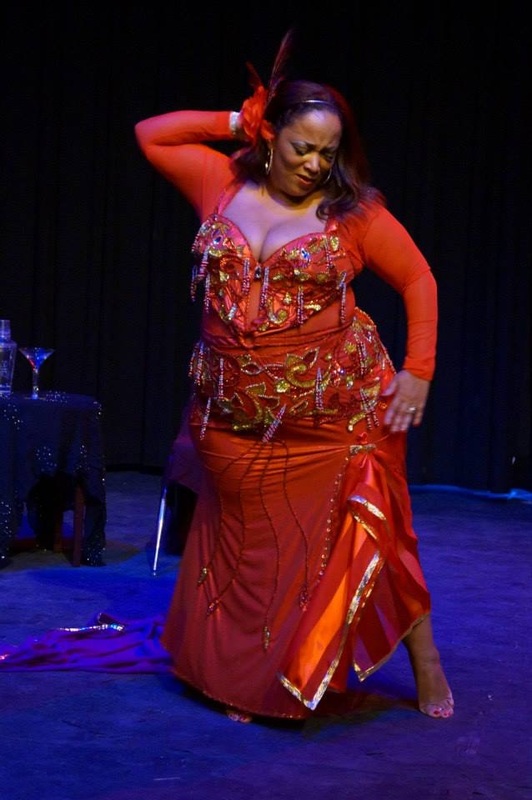 One of my other influencers was the cast of Bellydance Superstars- Rachel Brice, Ansuya, and Amar Gamal. I think my mouth was hanging open the entire time I sat at that show. Their beauty, strength and grace was inspirational and I still love watching and studying with them to this day. Also – my 1st experience taking a class from a male bellydancer- Jim Boz. To this day I still think he was the best teacher that I ever had and if he still taught I would travel to take classes with him again. That’s awesome, I’m certainly familiar with Sarai, Amar Gamal and the other great dancers you named. I totally agree they are awesome and worth travelling to see. So, when you travel for raqs sharqi, where do you go? Who have you enjoyed travelling to meet/learn from? I usually stay pretty close to home but I’ve been to Las Vegas, NC, FL, and all over GA to study the dance. Atlanta is always bringing someone great here so you really don’t have to go far to study with the masters. Some of my favorite instructors are Jim Boz, (Canada) Yasmina Ramzy (Canada); Aziza (Canada) Amy Sigil (CA); Lisa Zahiya (NC); and Moria Chappell (DC). All of these have been to Atlanta to teach and they have been my favorites. When Zi’ah Ali hosted the 2nd TribalCon I was exposed to West Coast bellydancers and I must say that to this day I LOVE west coast tribal style bellydance. If I ever moved from Atlanta I would move to the west coast and a key factor in that decision would be the bellydancers in California, Washington and Oregon. Wow, thank you for the compliment! I do try to be unique when I hit the stage and I try to keep my fans guessing and wondering what I’m going to do next. Entertainment videos…? Well I never really thought about it before but I would love to do something like that. If I made a video it would be like a series of music videos with me dancing to a variety of different songs representing all the various music genres that I love. I would do collaborations with some of my favorite local bellydancers and we would “kill it”. I would do something urban and sassy with Jenny Nichols, something folkloric or maybe shaabi with Amani Jabril; Baladi with Samora Matthews, something modern with Faaridah ; tribal with Jahara Phoenix and of course some signature Jendayi Dance Company choreographies. 5 songs that I love- that’s the hardest question. I still love “Habina” the version sung by Rachid Taha. I’m very much in love with Shaabi- Saad El Soghayar- anything that he sings, but I love Hantour. I also like the newer artists like Sadat and Amr HaHa. I also absolutely love urban hip-hop music so I would definitely dance to some of that and then I might switch it up to Sa DingDing who is a Chinese artist known for exploring the folk music of Tibet and Mongolia, I’m in love with her song “Alive”. Then I would throw in “Belispeak” by Purity Ring and add a splash of dubstep with some good old dancehall as icing on the cake. Oh and of course the music of India that is so infectious and happy. The list is too extensive I couldn’t just pick 5 but I think I would have songs that represent every culture even some Native American music. I’ve danced to everything from Prince to the soundtrack of Crouching Tiger, Hidden Dragon- so you never know what you will hear when you “press play” on my IPod. Let’s shift a minute to a very somber subject. Every dancer we’ve spoken to says there’ve been hard times in their bellydance journey, what have you found challenging? As I mentioned earlier my 1st teacher was a huge negative influence and challenge in my bellydance journey. Instead of uplifting her students and making us feel included, she was quick to tell me that I didn’t fit the mold of the “ideal dancer” because of my size. I remember coming to class one day and she called several dancers into a back room of her studio and gave them little gift bags and the rest of us didn’t know what was going on. Later I found out that she had picked those girls to be part of her student troupe. I was truly hurt because I was as good or better than those ladies. For her to be so callous to do that while the rest of us stood there looking and feeling like losers was like abuse. Then to add insult to injury she proceeded to tell us that if you are “fat” don’t expect her to ever name you and don’t expect to ever work in a restaurant. So in other words – you won’t even have a name because you don’t exist. You see a common tradition was for your teacher to name you, sort of like giving you her blessing and legitimizing you as a dancer. So in her eyes I didn’t even exist. You couldn’t be “fat”, have scars, short hair, tattoos, You just needed to be a cookie cutter clone of her idea of bellydance beauty, but you can still attend class and pay her just don’t ever expect to be a real bellydancer. Once I left her and started dancing on my own, I found out the she specifically told other dancers that I was evil, stole from her and she banned- yes BANNED them (particularly other African American dancers) from having any contact with me or even attending my shows. Can you believe that?! For years I thought that the other African American dancers didn’t like or respect me. This caused me great pain and only later did I find out that many had been banned from supporting me if they were affiliated with that studio. Other challenges have mostly come from people who aren’t directly connected to the dance –in other words regular old American audiences. Many feel the same way as my 1st teacher so I don’t fit the mold for them thus I shouldn’t be dancing. I’ve heard, “You are a bellydancer? But you’re heavy!” more times than I care to admit. Another challenge was getting work and exposure as a dancer. I was never into the restaurant scene and the only restaurant that I have ever danced at was Nicola’s. I really don’t like the whole dancing for tips thing. I know that I will probably make a lot of people angry but I feel that until we can stop sticking bills in our bedlah we will never elevate the art to the level that it should be. I know that cabaret and restaurant work have had a symbiotic relationship for decades but I think in many ways it does more harm than good. Bellydancers in some restaurants… let me emphasize SOME not ALL- …repeat SOME …are not there because of talent but because they look great in a costume and fulfill a westernized stereotype of bellydance. They perform “bellydance tricks” for bored westernized audiences while the dancer who has spent thousands of dollars on costuming and training, performs as a bellydance “one man band” playing finger cymbals, performing double sword, “eating” fire, doing veil work and everything else trying to get money from the patrons. Then she has to fight off the occasional drunk patron or even grabby restaurant worker, pick food off her $400 costume or better yet pick glass out of her feet. One dancer I know tripped and fell one night dancing, she hit the back of her head on the thinly carpeted concrete floor and knocked herself out. She ended up with a brain injury and spend several months going to therapy to learn how to speak again and her memory was shot. All that for tips- I don’t think so. But if I happen to perform or have a show where there are people who are linked to the dance I get nothing but praise and admiration. I’ve had Egyptians ask me if I am from Egypt and complement me on my dancing. I’ve had Indians ask me if I am from India. I’ve been asked by people of their own countries am I Ethiopian, Eritrean, Lebanese. Nicola even told me that I dance like and remind him of his mother from when he was a young boy. I know when I get compliments from people who truly understand the dance that I am successful. That is what makes it worthwhile to me, not acceptance from western audiences. So yes I have had and continue to have challenges but I “keep it moving”. I want us to talk about those challenges much more in-depth and go much further one day. You’ve touched on the extreme need for respect and that’s something that we in this industry have no choice but to show in order to be successful. You have a high respect for cultural dance, leaning more toward the genres of this art that one finds in the Middle East, i.e. Khaleegi, hair dances and dances that are really from the root. What attracts you to that and how does that affect your performance? Let me answer that question by telling you my bellydance manifesto. Belly Dancing is one of the most magical and healing art forms I have found. It gives me ecstasy and takes me into transcendent states of being. It is totally transformative to me on all levels: body, mind, emotions, and spirit. For me the root dances are the only ones that can really connect me to that spirituality. I think that two ancient forces live within every woman, two distinct female beings that combine to create the feminine mystic. While one force is usually soft, understanding, civilized, and human, the other is often just the opposite. When both sides are given expression, life and nurturing, a woman can enjoy all her strength and all her energy, she can rise above the projected split and live intensely in the moment. Through bellydancing, particularly folkloric dancing , I think a woman thus learns to name and express the being that lives deep inside her, waiting and longing to be discovered. This is the other, hidden self, the one who does not match norms or expectations, the one who roars like a lioness….this one lives mostly in the background, in the dark cave, deep inside the belly, and only seldom surfaces. The root dances help you start to heal this inner split. It offers the conscious and the unconscious, the rational and the intuitive a space in which they may gradually flow into each other. Belly dancing to me is a dance form in which femininity and spirituality become one. To truly connect that link I explore the root dances. Well, that brings me to costuming. Part of the root is getting the wardrobe right. Yours are very creative and eye catching, again, matching the marvelous choreographies. How much time do you spend planning your ensembles and do you have a favourite in your closet that you like? I love costuming! My undergrad degree is in Fashion Merchandising and Design and I’ve been sewing since I was about 14. From the moment I pick a song I decide on a theme. The music, movements and costuming form a marriage to make the dance come alive. Clothing is as much a part of the story as the 1st sway of my hips. Plus Jendayi must look good when she hits the stage! Do I have a favorite, no not really – I cherish anything that I have worn dancing with my daughters. I still have my very 1st coin sash and very first “tribal” hip shawl. I am actually trying to find new homes for many of my items. I’ve sold some, donated some to my dance friends and donated many things to SEEDS. I am ready for some new “bellydance energy” in my life and clearing out the old stuff is a necessity. 2015 is certainly going to be the year to do “the new” and plans are underway for most dancers, we’re eager to know what you’re planning. Can you give us a hint? Furthermore, what do you want to see in 2015? Any big wishes or things you’d like to see Atlanta/the industry/your community grow to include? For 2015 I am deconstructing myself. I am refocusing on just Jendayi the solo artist. JDC (Jendayi Dance Company) isn’t going anywhere but you will see a lot of solo performances by me this year. 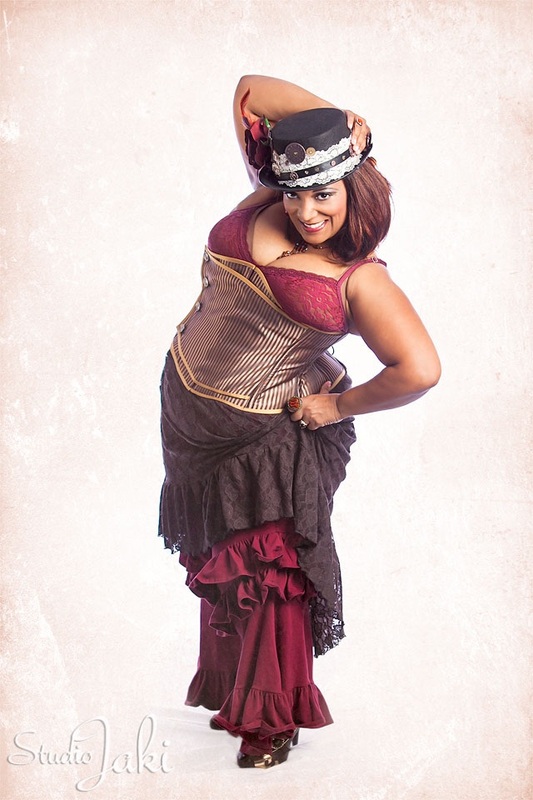 I want to continue to push the envelope and explore Theatrical Bellydance and Folkloric Bellydance. I would love to reconnect to and reteach Guedra. I think that was one of the 1st performances that you saw me do over 10 years ago. I also have some collaborations coming up with some local dancers. I am also hoping to go to Egypt this year to connect to the source so to speak. I have a huge theatrical production coming up that will be just plain fun- Fractured Fairytales in June 2015 which will be sort of a 2nd act to my sold out theatrical production “Revenge of the Disney Villains” from 2014. What I want to see…I would like to see more of our local superstars band together to teach and continue to elevate the art form. Unfortunately I still do not plan on teaching on a regular basis in 2015 unless it’s for a workshop or special event. I want Atlanta to continue to be a bellydance powerhouse and I want to continue to be a part of it. Overall I want to dance more!!! Any advice for up and coming dancers and your fans? Train with lots of different people, never let your “stage presence” be an afterthought. Don’t ever let anyone tell you or make you feel that you are “less than”.